Congratulations to Prof. Warren Woodfin! QC Professor Warren Woodfin will be a 2019-20 fellow at Dumbarton Oaks Research Library and Collection in Washington, DC next year. Congratulations to him! Congratulations to Prof. Francesca Bregoli! QC Professor Francesca Bregoli was selected as a Starr Fellow in Judaica at Harvard University for 2019-20 on the theme "The Affective Turn in Modern Jewish History," for her project Intimate Affairs: Jewish Trade and Emotions in the Eighteenth-Century Mediterranean. Prof. Bregoli should also be congratulated on the appearance of the volume Connecting Histories: Jews and Their Others in Early Modern Europe (Penn Press, 2019), which she edited with David B. Ruderman. Congratulations to Prof. Morris Rossabi! QC Professor Morris Rossabi has recently briefed the next U.S. Ambassador to Mongolia in DC, gave a speech on Women in Modern Mongolia st Sarah Lawrence, and a speech at Indiana University on Mongols and the Sea. Congratulations to Prof. Kristina Richardson! Congratulations to David Pultz - again! Please save the date: Friday, March 8, 2019, 5:00pm-7:00pm at the Godwin-Ternbach Museum. Further details will be announced as the event gets closer. Congrats to Prof. Covington on a new edited volume! 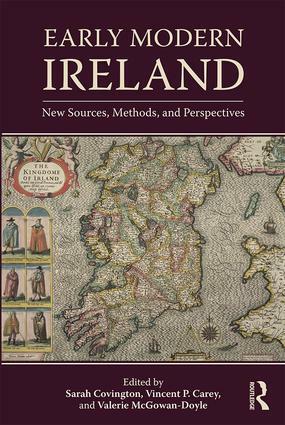 If you see Prof. Sarah Covington, be sure to congratulate her on the appearance of Early Modern Ireland: New Sources, Methods, and Perspectives (Routledge), which she co-edited with Valerie McGowan-Doyle and Vincent Carey.